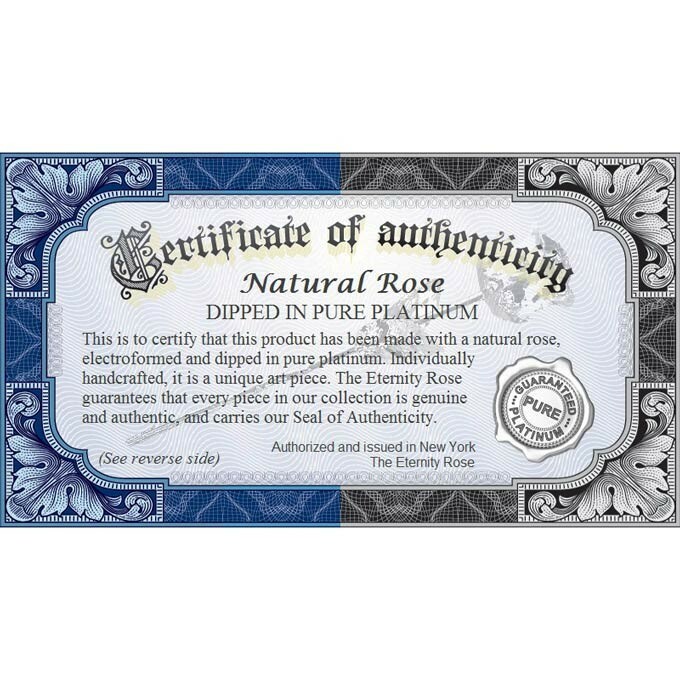 This beautiful natural rose, grown in our own nurseries, is dipped in certified platinum. 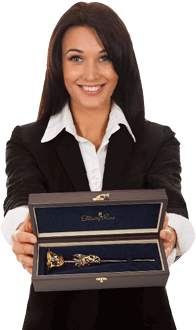 It is presented in a navy velvet and PU leather display case. 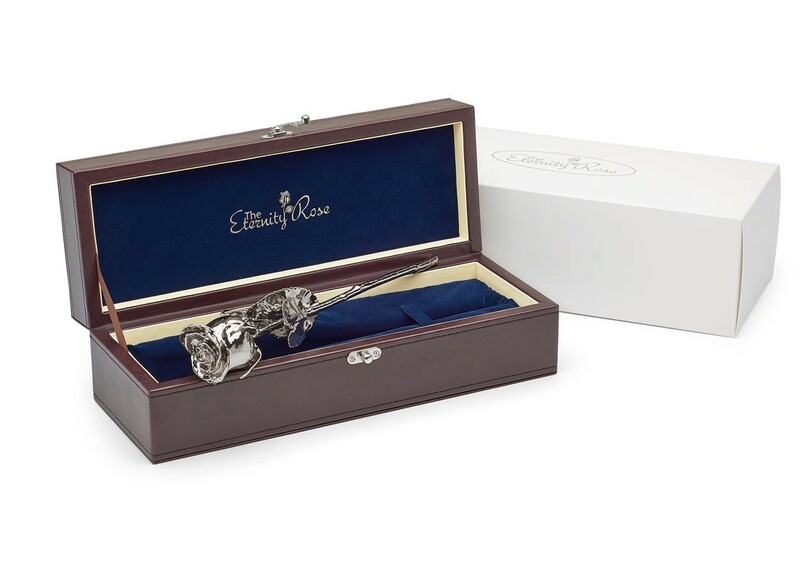 Featuring a reflective and brilliant finish, each platinum-dipped rose is presented with its own individual certificate of authenticity. 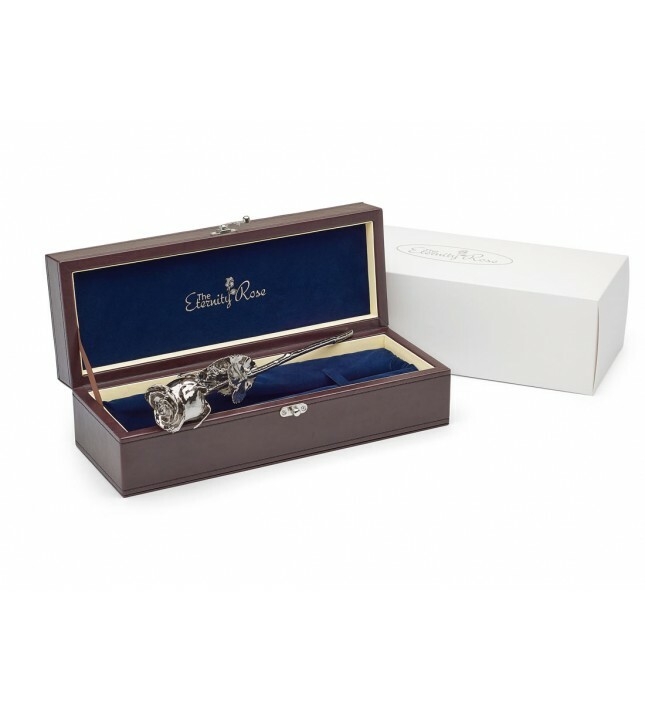 Reflecting the eternal and enduring nature of platinum, and the exquisite beauty of a rose, this gift clearly symbolizes eternal love. It is an ideal platinum anniversary gift (20th). 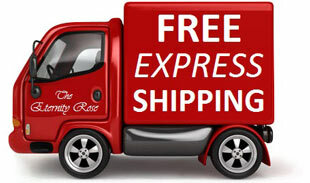 Fast dispatch and free express delivery are our priority. 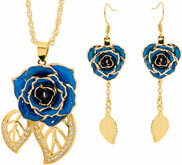 The rose has long been recognized as a beautiful symbol of love, representing true beauty and romance. 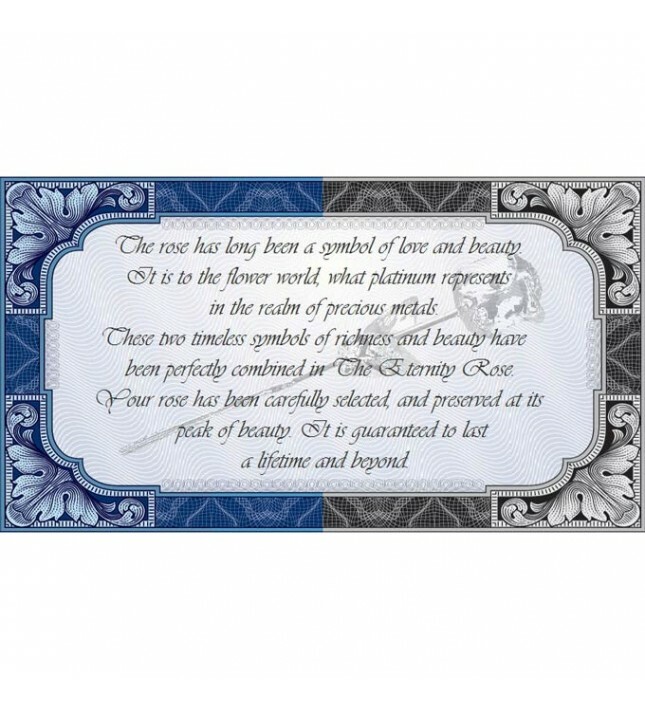 Preserved forever in famous art and literature, both roses and platinum have been immortalized as mementos of long-lasting love. 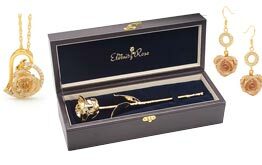 Now, the Eternity Rose brings together both of these timeless tokens to form one luxurious and elegant gift that will endure eternally. Whether for a birthday, anniversary, Mother's Day, or simply to show your affections, the gorgeous Eternity Rose is the ideal present. 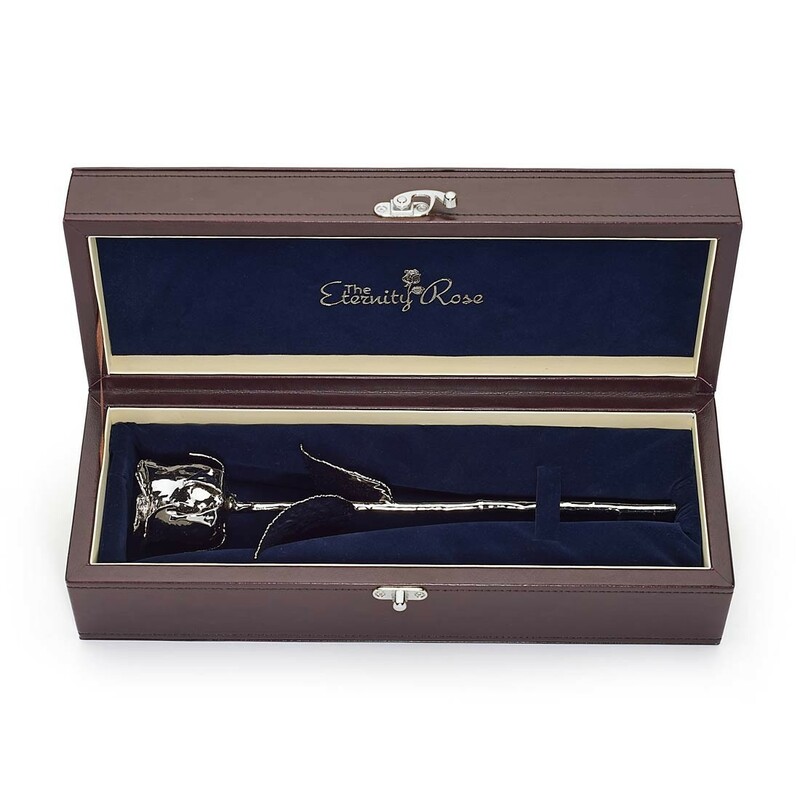 A truly thoughtful and graceful gift, it is sure to be appreciated by your loved one, and will grace your home for a lifetime. 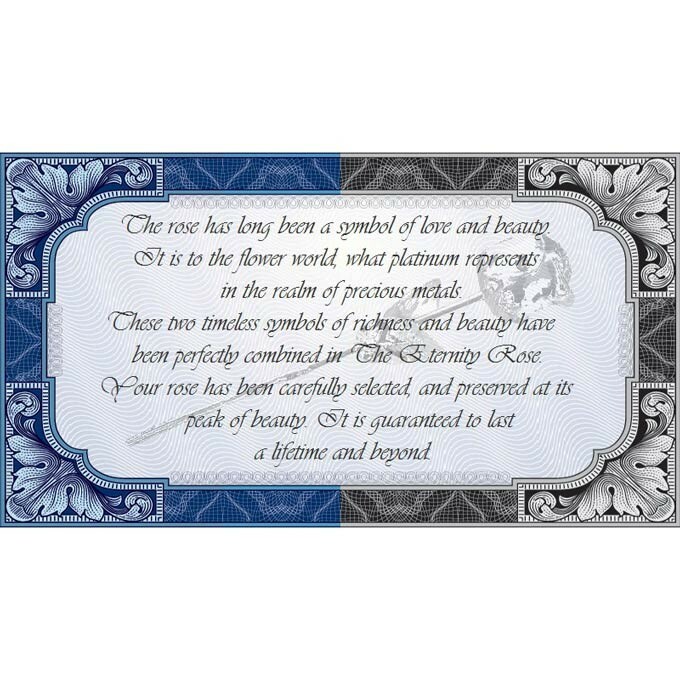 In the past, the 20th wedding anniversary was always marked by giving a china gift, however, platinum has become an alternative gift material in the modern day. What better way to celebrate this remarkable occasion than by giving the gift of a platinum-dipped Eternity Rose as a contemporary and impressive reminder of this important event? 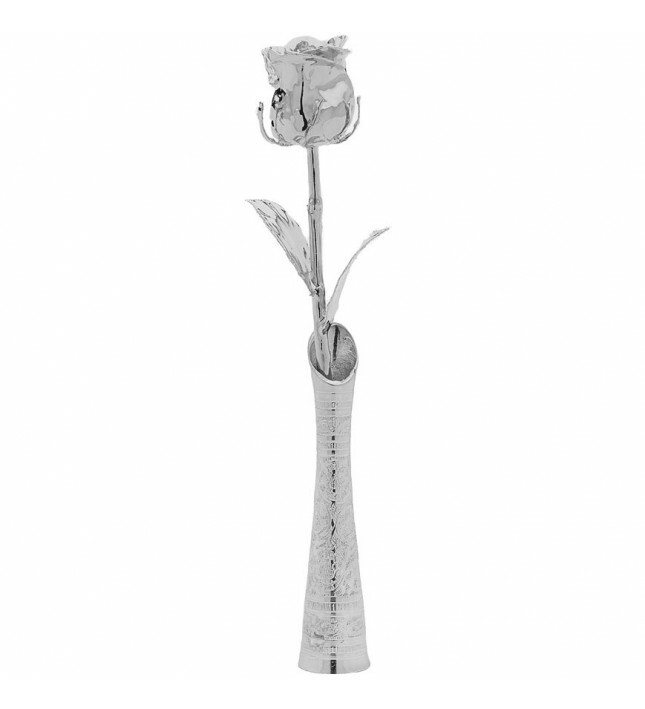 Combining art and nature in a majestic and exquisite platinum-dipped rose, you can find no more appropriate way to treat the special woman in your life. Each uniquely crafted artwork begins with a single rose, grown in our very own nursery. Each bloom is tended to by qualified horticulturists to ensure that only the finest and most alluring flowers are chosen. Once our fabulous blossoms begin to open, they are quickly plucked while still at the peak of their natural beauty. 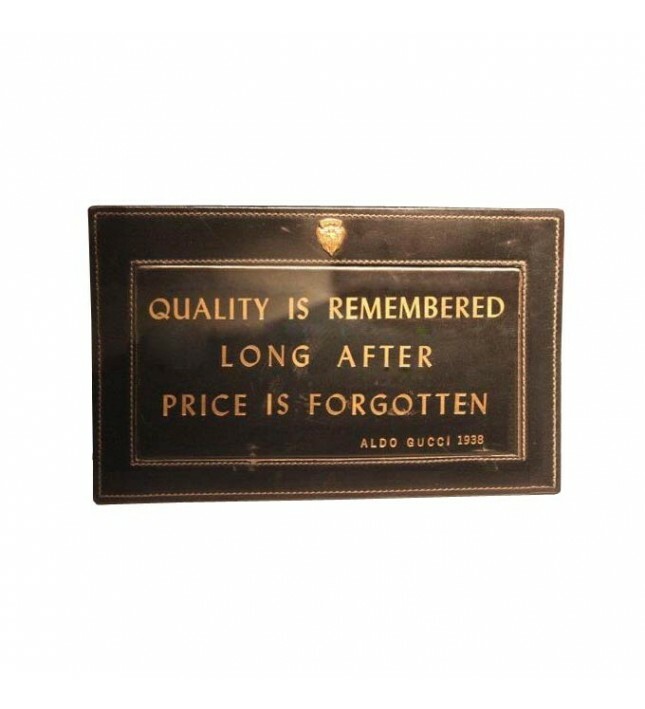 The process of dipping them in platinum begins while the bud is fresh, to ensure its perfection is captured eternally. There then follows a 60-step process over the course of three months which includes immersion electroplating using our own specially developed formulas and procedures. 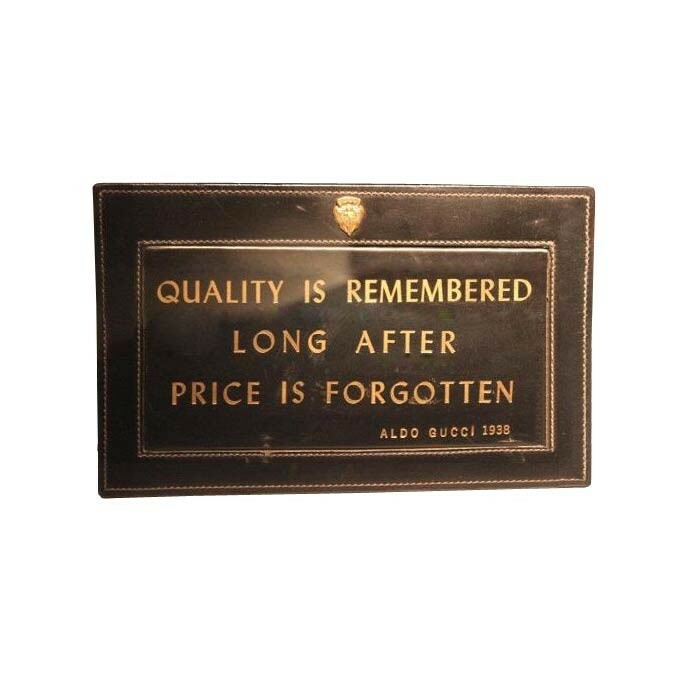 A thin layer of pure copper forms the ideal base for coating with a precious metal as well as supplying a texture-sensitive surface so that the natural underlying structures of the flower remain apparent. 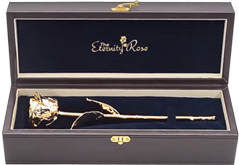 A layer of nickel is then applied by electroplating which helps to strengthen the flower's structure in preparation for its final coat of pure certified platinum. 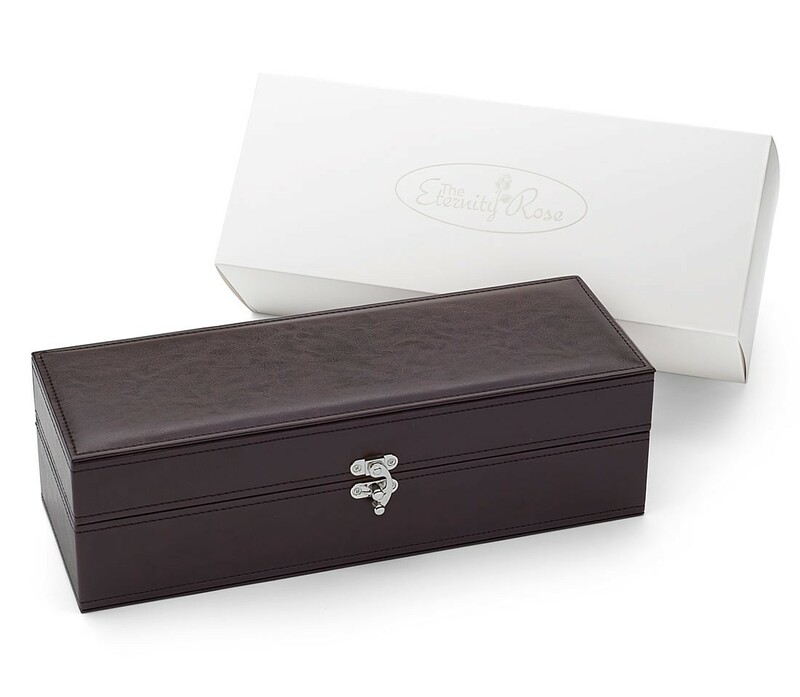 Each rose experiences in-depth quality control after each layer is applied to ensure that each piece is perfect without any flaw or mis-shaping. 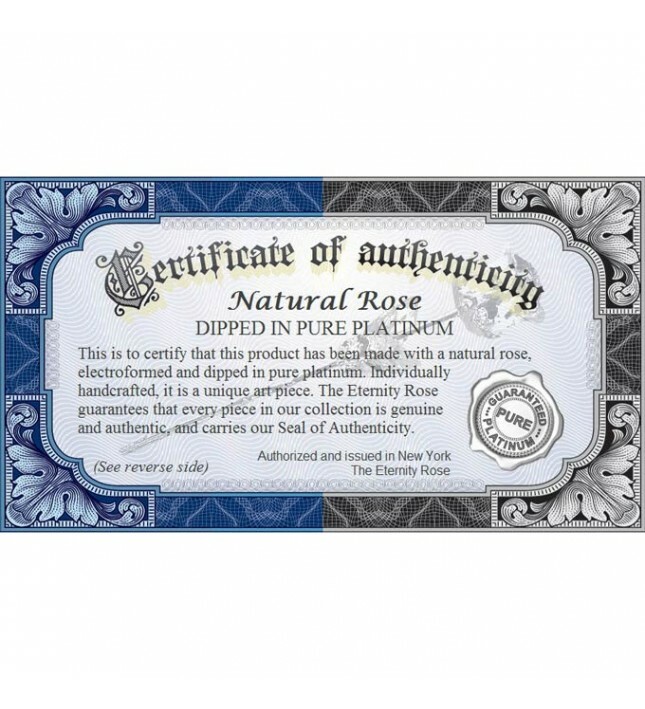 We guarantee that each and every rose that reaches our pure platinum-dipping bath is completely free of defects. 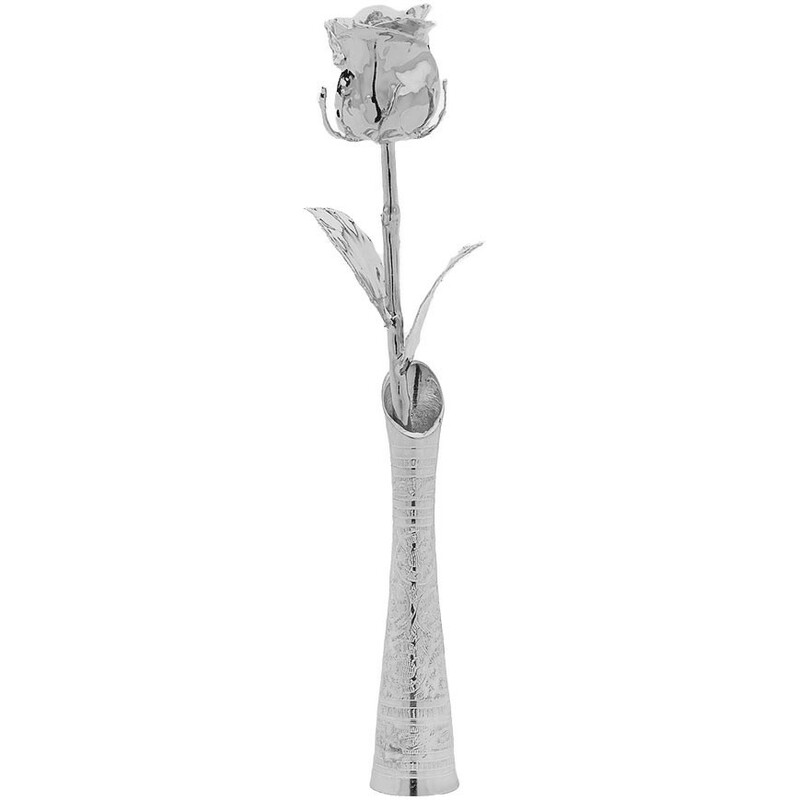 Over several weeks, we build up dozens of exceptionally thin layers of pure platinum on the rose's surfaces, with the final result being a lustrous mirror finish that shines with radiance. 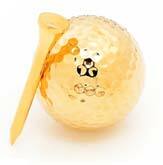 Your breathtaking artwork will never corrode or tarnish, literally lasting in its perfect state for a lifetime. 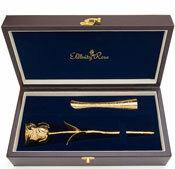 If your special lady has a penchant for fine gold, then you may also be interested in our popular 24k gold Eternity Roses, which make the perfect gift for any occasion. 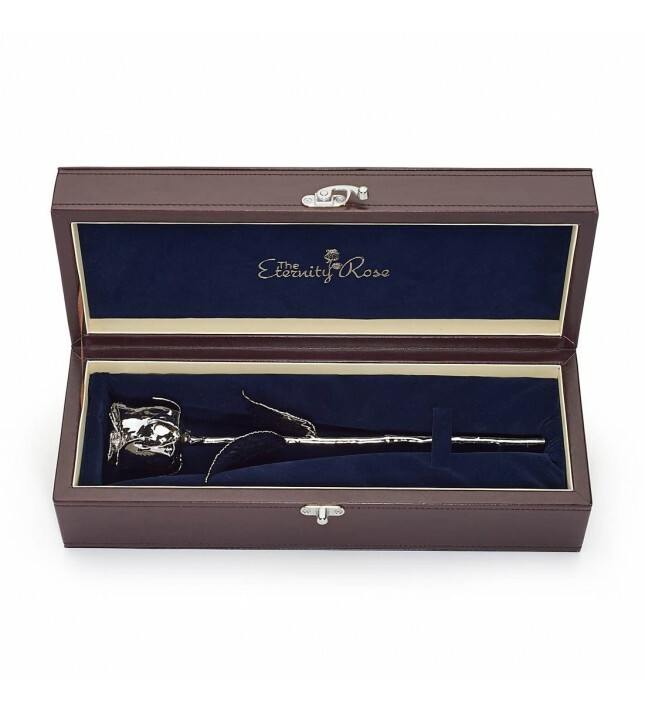 Show that special someone in your life how much she is loved and appreciated by giving her the gift of the Eternity Rose today.